The MWCA offers the following publications for sale. This book has 87 pages and was created and printed in 2015. 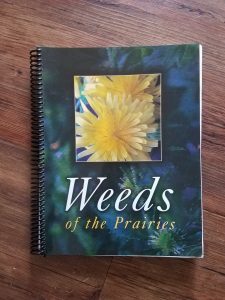 It has easy to read and understand descriptions of Montana’s noxious weeds, excellent photos (many taken by MWCA members) and is an easy size to carry with you at 4.5 x 7 inches. This publication is currently almost out of stock. We will be updating this publication to include new weeds and re-categorized weeds on the Montana State Weed List in the spring of 2018. The current cost of the book is $5 plus shipping if you order it online. For bulk orders, please contact Becky Kington. With 112 weeds detailed, this book gives you full-color photos of the weeds at different growth stages. Weeds are color-coded by flower color for easy reference, and the full index lets you find the species you want by common, scientific or family name. Charts on life cycle and habitat provide valuable information while the maps help you see how widespread these weeds are. An opening section on weed identification gives tips on what to look for. And the handy coil binding lets you open the book out flat, so you can work with it in the field. 266 pages. MWCA sells this book for $35 to members and can be ordered here. 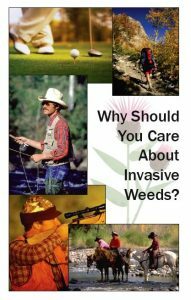 This 22-page brochure is an excellent resource for land managers regarding invasive weeds and why you should care as a landowner, recreationist or if you like to hunt and fish. 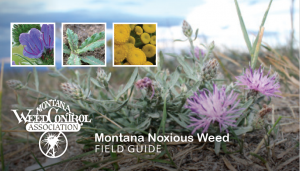 It has many simple quick descriptions and photos of some of Montana’s noxious weeds, but more importantly, it simply explains why you should care about this issue. 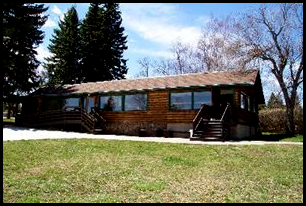 It is very economical for members at $.75 each and you can order here. For bulk orders, please contact Becky Kington. 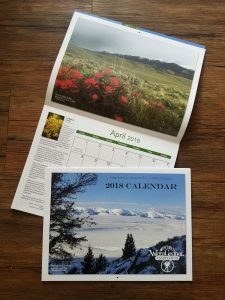 Since 2010 the MWCA has been producing a scenic calendar with educational information about noxious weeds in the side bars. The size of the calendar is 9 x 12 inches closed and 12 x 18 inches open. The pictures in this calendar have been outstanding and are submitted each year by MWCA members from all over the state. 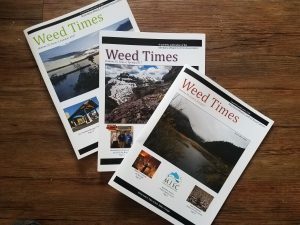 If you are interested in getting this publication for free, please contact your county weed coordinator. Many of Montana’s weed coordinators purchase this calendar to give out to their constituents free of charge. Otherwise we offer this calendar for sale at $5 each for members or $10 for nonmembers here. For bulk orders, please contact Becky Kington . MWCA produces a quarterly magazine for members filled with the latest research, news and information in noxious weed management. 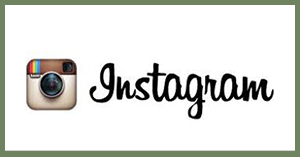 A sample magazine may be sent if you wish to preview the magazine, but in order to receive this valuable publication, you must be a member join here. Members receive this publication via mail or email pending their preference.